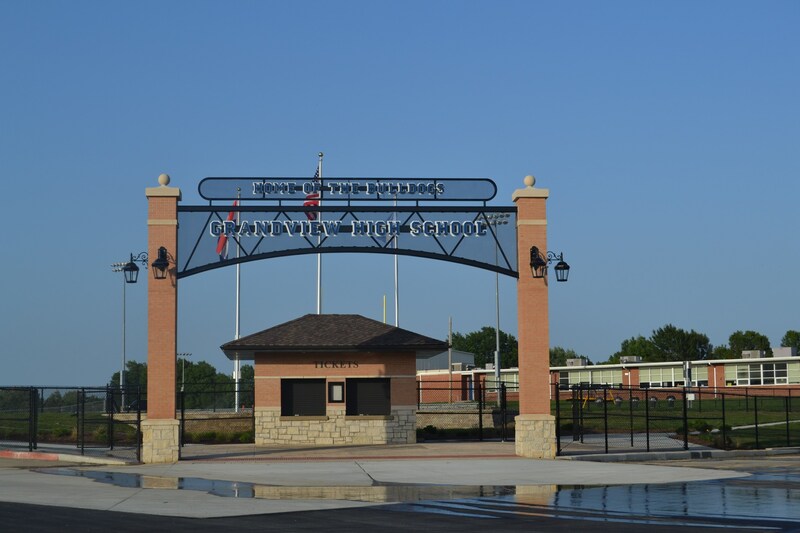 Grandview High School has been a community fixture for more than 100 years. School boundaries encompass the majority of Grandview, Missouri, as well as portions of south Kansas City on the west of the district and Lee’s Summit on the east. The high school is located at High Grove Road and Bennington Ave.
GHS has been fully accredited throughout its history, scoring in the “Distinction in Performance” status in recent years. The school's most recent Annual Performance Report (APR) score is 81.8%. GHS proudly serves a diverse student population of more than 1,100. There are more than 100 staff members, that include 76 teachers and 34 support staff that enjoy working with our students to achieve their goals. Presently the student demographics are 60% African-American, 19% Caucasian, 15% Hispanic, and 6% Asian, Indian or other minority backgrounds. Grandview High School is committed to using high quality instruction to ensure college/career readiness for all students. It offers a wide spectrum of education opportunities including pre-engineering, robotics, culinary, music, theater, forensics, sports and an award winning band program. .